We’ve seen loads of innovations in the online casino world recently. Why don’t we run down the biggest game-changing casino trends happening 2018? Mobile casinos are no longer an oddity, they’re the norm. In fact, 2017 and the beginning of 2018 has seen more massive jackpot wins on mobile than any other time in history. That’s because people are playing casino games on mobile. A 2016 report, showed that revenues from mobile gaming have finally surpassed casino gaming on desktop platforms. Looks like there’s no going back now. It’s not only improved graphics, it’s NetEnt and Play’nGo designing slot games specifically for mobile. NetEnt have also designed Live Casino games just for mobile as well. And the next frontier they’re conquering is virtual reality on mobile. The future of mobile gaming is here. While you’re here, why not check out our casino reviews? Well that was a nice Segway into the next game-changing casino trend—virtual reality casino gaming. It feels like we’ve been talking about the burgeoning virtual reality casino scene for nearly two years. But trust me, I think it might finally be here. There’s a growing availability of Virtual Reality headsets like the Oculus Rift, Samsung Gear VR and Playstation VR. This is making virtual reality gaming more of a, well reality, for online casinos. SlotsMillion and Slotsroom are two good examples of VR casinos. Additionally, NetEnt have just released a VR version of Gonzo’s quest. This is a clear move that virtual reality casino does not need to be limited to table games. So, this trend won’t necessarily affect your game play so much. However, it’s important to note that increased legislation and enforcement of rules in countries who have a well-regulated casino industry, means more safety for you. And this is usually a good thing for online casino players, the UK and Denmark have really well-regulated casino industries and Sweden is looking to impose similar legislation on their industry. 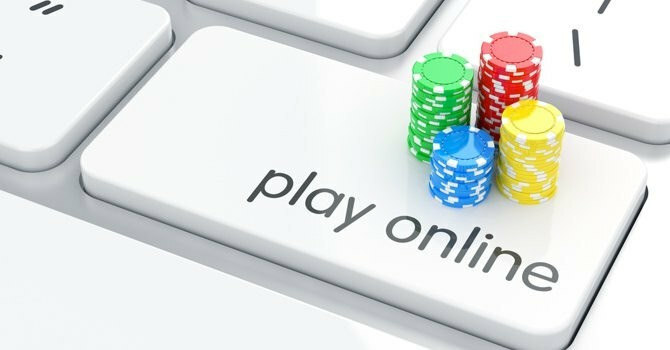 New Zealand and Canada also have robust online casino industries, but Australia, France and the U.S. are not online casino friendly and Norway is looking to ban foreign operator as well. Of course, what discussion of casino trends would be complete without some mention of crypto currencies. The online casino industry is a space where cryptocurrencies thrive. And it’s no longer just Bitcoin, Bitcoin Lite, Litecoin, Etheruem, Ripple, Dash and Dogecoin are just a few that make an appearance on the online casino scene. There are a growing number of Bitcoin online casinos, but usually they’ll accept a couple of the most popular other cryptocurrencies as well. Why don’t you let us know in the comments what other trends you can see crystallising in the industry. Didn’t really understand the lingo? No problem – take a look at our terminology handbook.